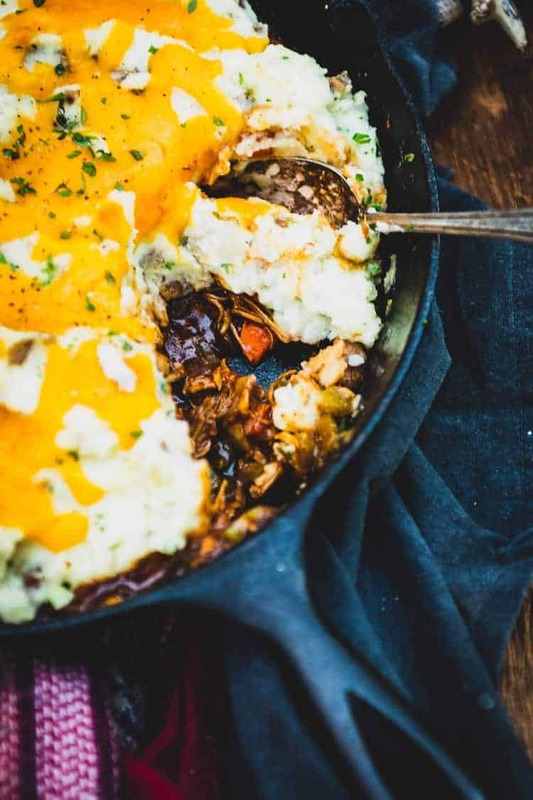 Smoked BBQ Turkey Shepherds Pie recipe is the perfect combo of classic barbecue flavors and down-home comfort food for even the chilliest of nights! This post was sponsored by KC Masterpiece®. The thoughts and opinions expressed are my own. Chances are you are coming up on that time of year where leftovers are a thing. From the family gatherings, football parties, and holidays, big dinners are being planned and the fridge is getting stocked with all reusable boxes you can image. Tetris skills become vital. Level up your game skills by stretching the imagination and using up all those leftovers with more than just cold sandwiches. 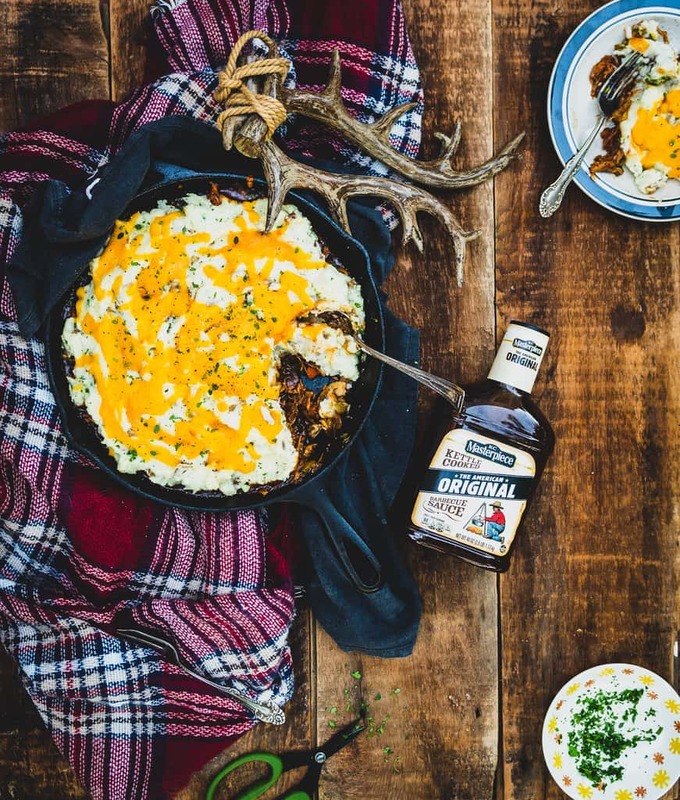 Try getting creative with simple recipes like this smoked bbq turkey shepherds pie. Sure, not everyone grills all year long, but that doesn’t mean we can’t have smokey barbecue infused into our cold-weather classics. Sure, we have all had a shepherd’s pie. 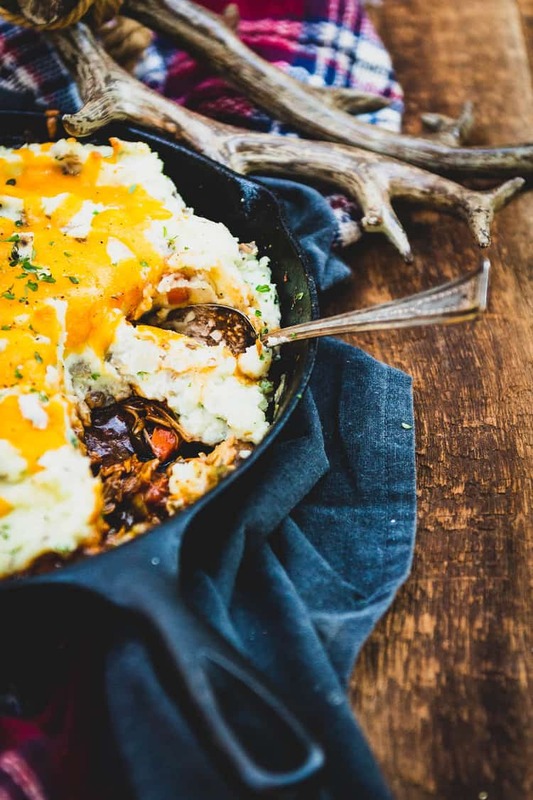 But why not a smoked bbq turkey shepherd’s pie? 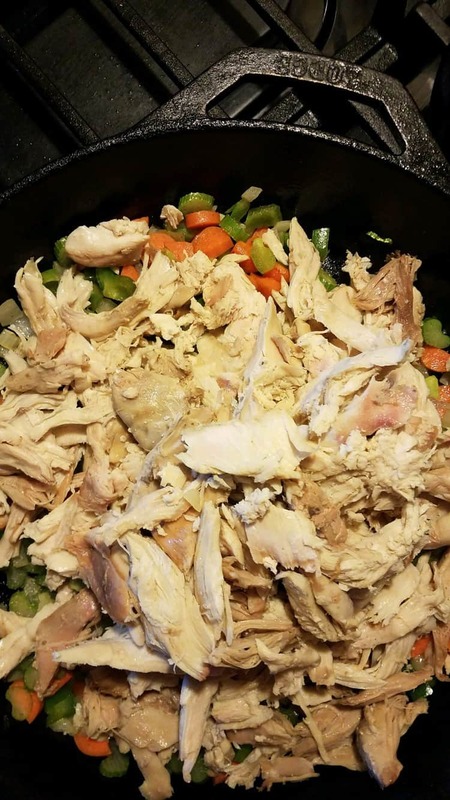 This recipe came to mind when I had a group of friends to feed on the quick, and nothing but leftovers in the fridge. We were all chilly from the recent temperature dip and I didn’t want everyone standing outside all night while I grilled. I wanted quick. And delicious. 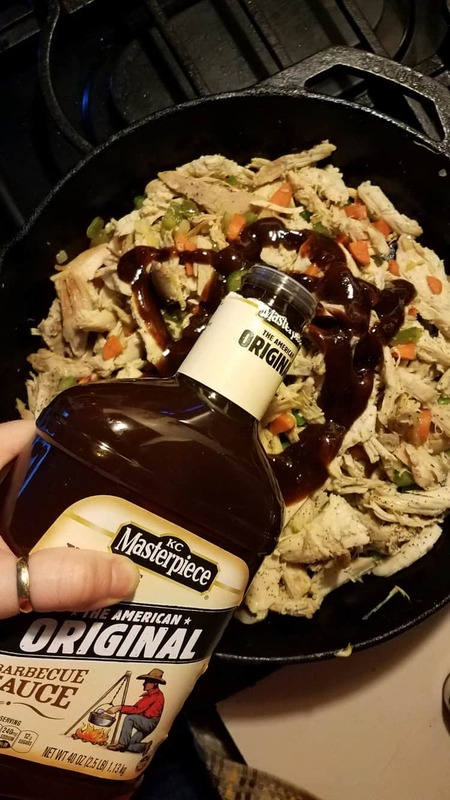 Grabbing a classic cast iron skillet, I diced some veggies, added some leftovers and brought it all to life with KC Masterpiece original barbecue sauce. 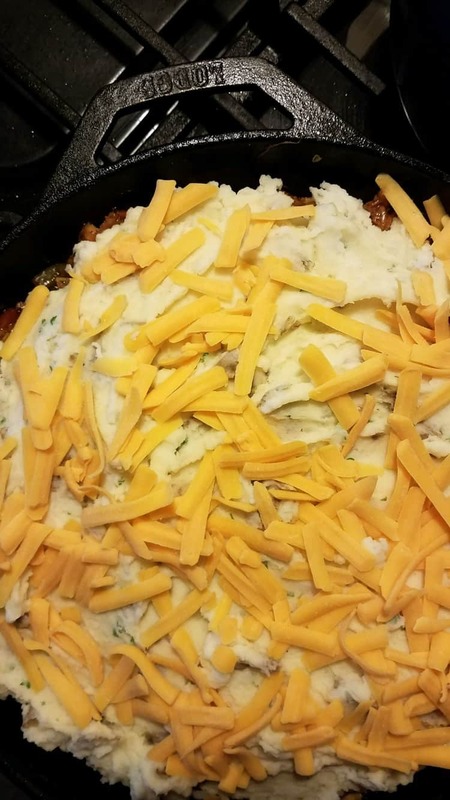 A quick layer of mashed potatoes on top and some bonus cheese for flavor! 30 minutes later, we were ready to go! Barbecue 365. Yeah, that’s my style. 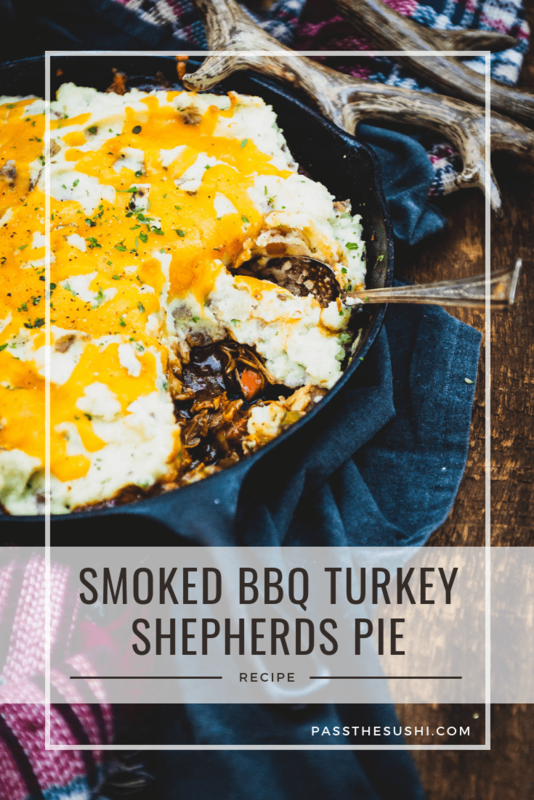 If you’ve tried this Smoked BBQ Turkey Shepherd’s Pie recipe or any other recipe on passthesushi.complease don’t forget to rate the recipe and let me know where you found it in the comments below, I love hearing from you! You can also follow along for more good eats and travel tips on Instagram @passthesushi & @girlcarnivore, Twitter & Facebook. Add the butter and swirl to coat the pan. 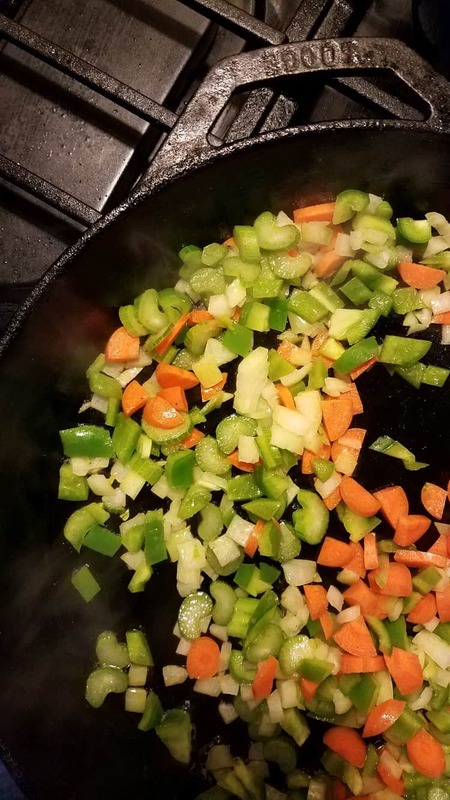 Add the onion, celery, and pepper and cook for 5 to 7 minutes, until soft. Add the turkey to the pan and stir occasionally to toast the turkey, 5 to 7 minutes longer. Add the barbecue sauce and stir to combine. 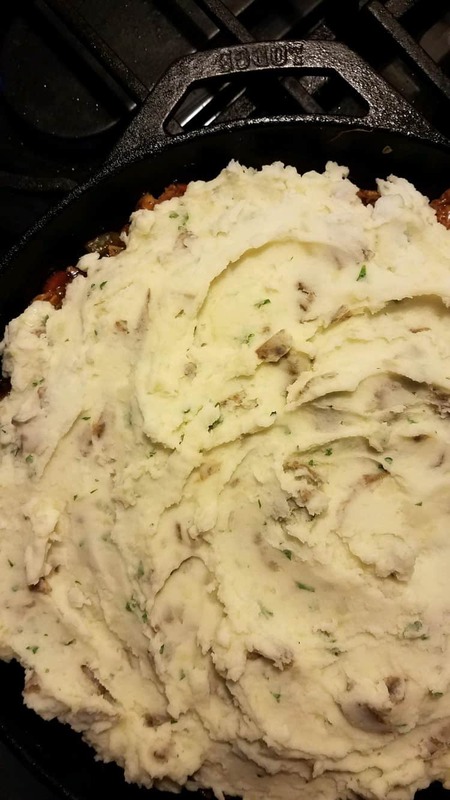 Spoon the mashed potatoes over the top in an even layer. Sprinkle the cheese over the potatoes. Bake for 30-35 minutes until everything is heated through and the potatoes are just starting to get golden on top. Garnish with salt, pepper, and minced parsley. Alternatively, smoke this entire dish for 45 minutes with your electric smoker set to 350 to double down on the smoked flavor.